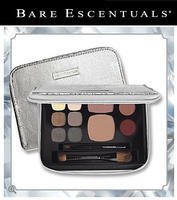 Bare Escentuals offers the Perfect Ten Makeup Pallet ($100 Value) for $58 with free shipping. Bare Escentuals offers Free Stroke Of Light Eye Brightener Sample with Any $25 Purchase via code BRIGHT. Bare Escentuals offers 20% OFF Friends & Family Sale + Free Shipping via code WELOVEYOU. 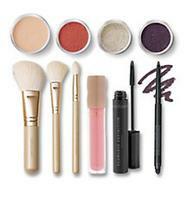 Bare Escentuals offers Free Double Ended Soft Focus Shadow & Liner Brush with Any $75 Purchase via code EYEBRUSH. 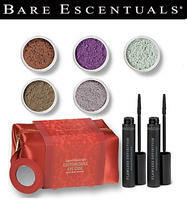 Bare Escentuals offers Up to 75% OFF Beauty Rash Sale. Free Moisturizing Trio of Deluxe Samples with Any $65 Purchase via code DELUXESAMPLE. While supplies last. Deal ends March 8 at 9PM PT. Bare Escentuals offers Up to 58% OFF Beauty Rush Sale(12 Hours Only), offer ends 9pm PT. Today only (Feb 15), Free Sterling Silver Eyecolor($9 Value) with any purchase via code SILVER , while supplies last. Bare Escentuals offers Free Active Cell Renewal Night Serum Beautipod Sample with Any Purchase, no code needed. Deal ends 2/10/2013, or while supplies last. Bare Escentuals offers 12 Hr Beauty Rush Sale with free shipping via code FREESHIPPING. Get a wrinkle repair sample via code MWR. Deal ends tonight 9pm PST. Today only (Dec 14) 9AM - 9PM PST: Bare Escentuals offers Free Last Chance Eyecolors - Paradise($9.5 Value) with Rush Sale Items Purchase. Free Multi-Wrinkle Repair Deluxe Sample with Any $25 purchase via code REPAIR. Bare Escentuals offers Deluxe Multi-Wrinkle Repair Deluxe Sample with Any $25 Purchase via code REPAIR. Deal ends 12/16/2012, or while supplies last. 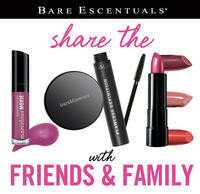 Bare Escentuals offers 20% off Friends and Family sale via code "GETLOVE" with free shipping. Deal expires on December 10th. Today only (Dec 4), Bare Escentuals offers Free 100% Natural Lipgloss in Champagne ($15 value) with Any Purchase. 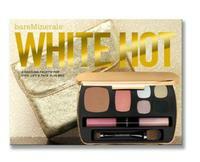 Today only (Nov 25), Bare Escentuals offers Up to 65% OFF Beauty Rush Deal valid on 9am to 9pm PST with free shipping. Semitropical Eight Collection for $30(was $77). 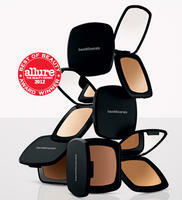 Today only (Nov 20), Bare Escentuals offers Free Stroke Of Light Eye Brightener Sample - Luminous2 with Any Purchase. No code needed. 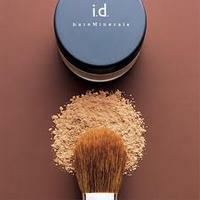 Bare Escentuals offers Free Brightening Pearl Mineral Veil finishing powder ($18 value) with Any $75 Purchase via code PEARL with free shipping. 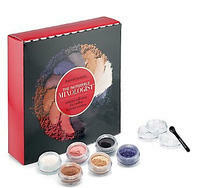 Today only (Nov 5), Bare Escentuals offers Free Merlot Eyecolors with Any Purchase.